For installation directly to the incoming mains. Delivers an additional 1.5 bar water pressure to the existing incoming mains pressure at a maximum flow rate of 12 litres/minute. The maximum flow rate allows pump to be fitted in accordance with UK water regulations. 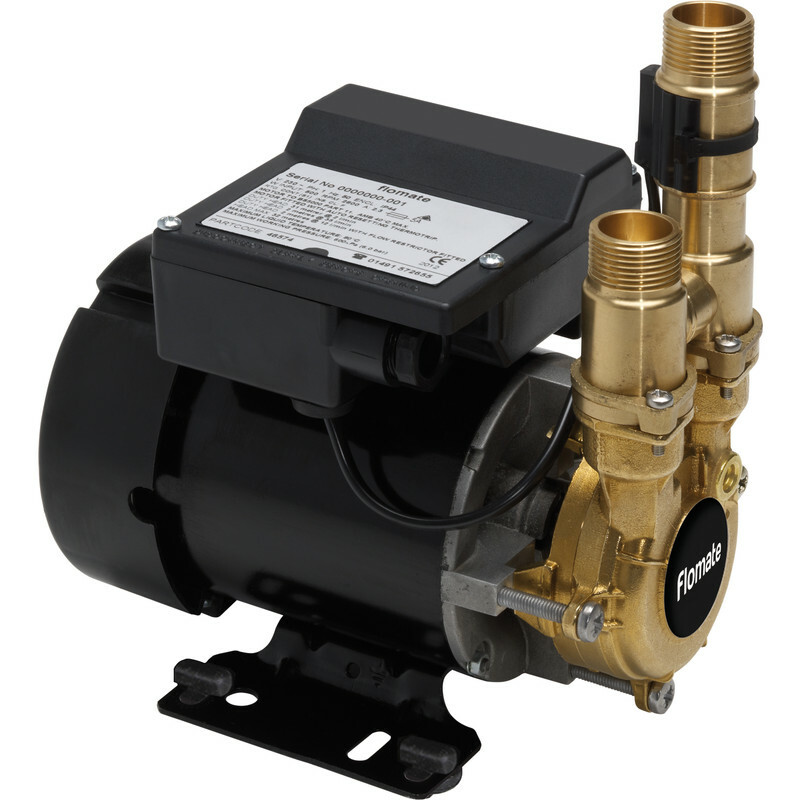 Stuart Turner Mainsboost Flomate Pump 230V is rated 5.0 out of 5 by 1. Rated 5 out of 5 by Shoelover from Does what it says Very neat pump that has improved our water pressure. Not the most quiet pump but overall very happy with it.